Receiving an education in Haiti is a coveted privilege. Haitian Christian Mission seeks to make education accessible to the children living in the areas where our churches are located. In Haiti, children attend kindergarten for three years, elementary school for six and then high school for seven. We have two high schools, one in Port-au-Prince and one in Fonds-Parisien. In addition to those two schools, we have several others that have school buildings, but many of our schools actually meet in churches with several different classes dispersed throughout the one main room. Many of them are pretty rustic, but they all are educating children that would otherwise have no chance at all to attend school. 4,493 students were educated and fed daily. We have over 250 teachers that are employed through our schools. This year, we saw a 4% increase in the amount of students attending our schools. We have a director of education that oversees all the schools, works in cooperation with each of the school administrators and organizes teacher training seminars for the teachers. In addition to academics, we also teach the truths of the Bible to our students and share about God’s love for them. Our schools are supported in large part by our child sponsorship program. When you sponsor a student for $35 a month, you provide them with their school tuition, books, and lunch. We have many, many students still in need of sponsors, so if you would like to sponsor a child, please click the button below to view the profiles of available students or email our sponsorship coordinator Char Frank here. Giovani Bernard and the Run Gio Foundation partner with us and Play it Forward to help build character in a positive, healthy and familiar environment in the Fonds Parisien community. Play It Forward was established in 2010 to promote education, healthy lifestyle, and Biblical principles. Along with regular school classes, these kids receive Biblical training, leadership skills and focus on how sports help foster community development. Play it Forward provides one-on-one sports training and spiritual mentorship in a fun and active environment. Volunteer teams can lead sports camps in soccer and basketball. We welcome training clinics in volleyball too. To participate in an athletic camp visit our Trip Page by clicking here. Play it Forward also provides a unique Athlete Sponsorship opportunity. Your monthly sponsorship provides each athlete with athletic instruction, equipment and uniforms, Biblical training, and meals on game days. Click the link below to learn more about the sponsorship program and to see the athletes available for sponsorship. We dream of expanding and improving the Play It Forward program. If you have a passion for sports ministry, please consider becoming a partner of PIF. 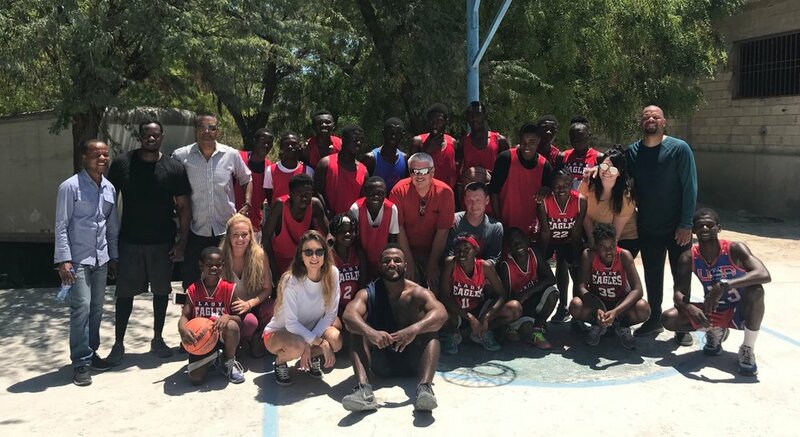 Your support will help expand PIF to other areas throughout Haiti, offer our coaches further training and education, allow PIF to host foreign teams and players, and enable our athletes to serve in their community.